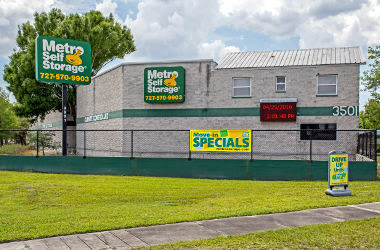 Located on Starkey Road in the Ulmerton and East Bay neighborhoods in Largo, Metro Self Storage can help you get on the path of a more organized life. Whether you are moving to Largo, reorganizing the garage, or downsizing your home, we can help make life more manageable. You can count on our friendly storage consultants to be here for you every day of the week. With over 40 years of storage experience, you can count on Metro Self Storage to bring you reliable, friendly and expedient storage at great rates. We invite you to drop by and preview a selection of storage units before your next moving or reorganizing project and see how easy it is to move in with Metro. "Mark was extremely helpful with everything. 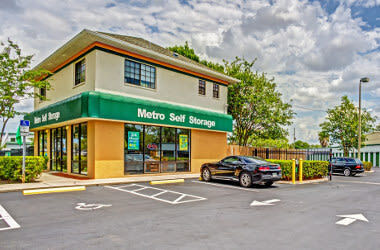 Very informative and answered all..."
"I've been with Metro Self Storage as a tenant for 5 years now..."
"Steve is a really big help, and very professional. He is a great asset..."
At Metro Self Storage in Ulmerton and East Bay, we feel uniquely privileged to live in and serve such a thriving and diverse community. We appreciate our valued customers and as such we put you first in everything we do. We take pride in getting to know you and learn about your needs so that we can provide you with the best possible storage solution. Our world class customer service goes hand-in-hand with our exceptional facility. 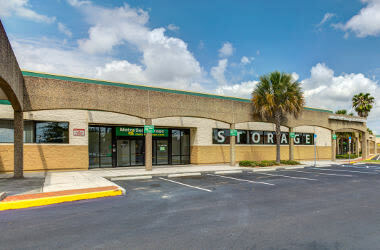 We offer an extensive selection of storage units for rent in Largo that are in a bright, clean, and well-maintained storage facility that is protected by industry leading security.